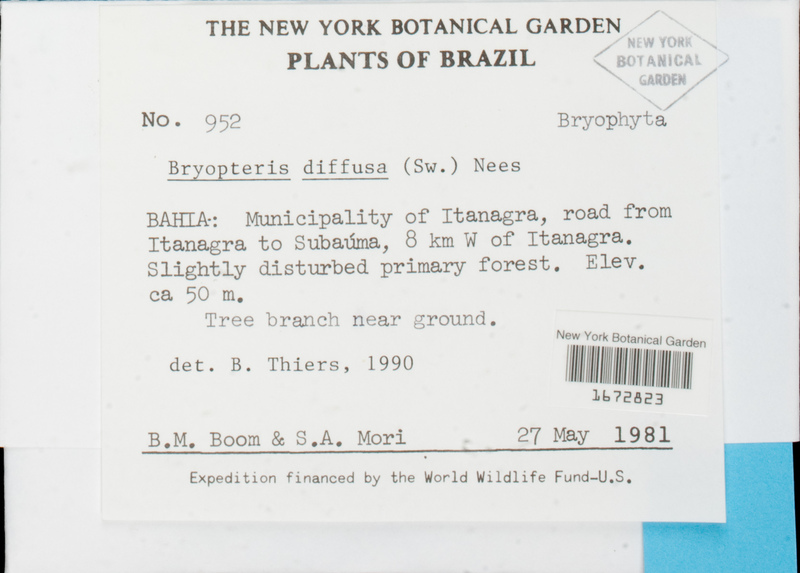 Locality: Brazil, Bahia, Municipality of Itanagra, road from Itanagra to Subaiima, 8 km W of Itanagra. Slightly disturbed primary forest. Elev. ca 50 m.